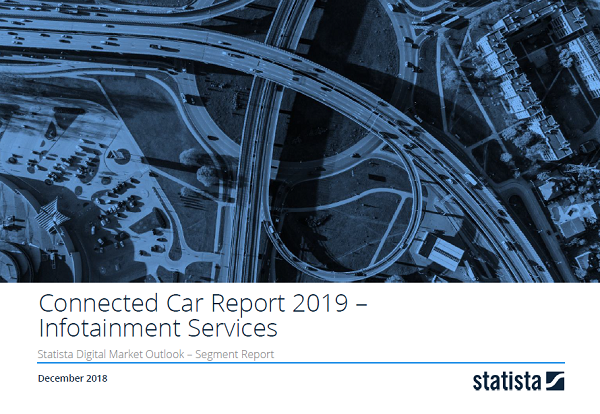 Infotainment Services are one of the hot topics when it comes to aftersales revenue sources and value-added services in the automotive market. Drivers want Infotainment Services that are as comprehensive and good as they are on their mobile device: easy to control, seamlessly integrated into the car, and in the best case already familiar. The worldwide revenue of US$337 million in 2018 is expected to increase to US$1.3 billion by 2023. The Connected Car segment Infotainment Services includes fees for additional services for navigation or other comfort-related services. The segment is split into Advanced Navigation, and Comfort Services.